Daniel was born with cerebral palsy, a difficult disability that takes strength and determination to overcome. As a way to ensure that Daniel got the most out of his early years despite his disability, his mother Susan took a pro-active approach in securing the best support for Daniel. She ensured he got the treatments he needed to maximise his mobility; she ensured he secured the funds he was entitled to and has the best team of advisors so that Daniel’s funds work for him; she ensured he had a voice when experiences at college were difficult for him. However as time went on Susan started to realise that it was becoming less appropriate for her to remain his primary carer. She knew that he needed to take some of the independence back, and live a life as a young man, he needed to be able to look after himself. Susan started to hand over the responsibilities of Daniel’s support package to the carers that helped to support him. But when one of Daniel’s key workers left, Daniel found that it affected his outlook on the people that were coming in to support him. Susan found him inconsolable, so she contacted Blue Sky Enabling to see if we were able to work with Daniel and to help him to adjust to the changes, which he was still finding very difficult. Throughout the initial consultation process, clear objectives were set out to build upon Daniel’s self-esteem, and to help him feel comfortable moving forward into the future. The first key objective was to support Daniel to exercise choice and make his own decisions: he experienced how making his own mind up about things empowered him. Therefore, alongside Blue Sky Enabling management, Daniel was supported to break down this objective into two goals: make a decision; and manage the changes that happen effectively. The pathway was established to put Daniel in a comfortable environment where he could help to select his enablers. Once Daniel selected his enablers, he was then provided with a framework for talking about how he felt about the work that the members of staff were doing. Initially this involved, among other things, a series of fortnightly audits conducted by his care manager where he would be given the opportunity to feedback directly about how his support was progressing. He would talk to his care manager about what he liked, and what he disliked, what he though was going well, and what he thought could be improved. This way he was able to put himself in the driver’s seat when managing the changes in his support package, and his confidence grew. In making these decisions and sticking with them, Daniel became much more aware of how his enablers where there to help him achieve what he wanted out of life. 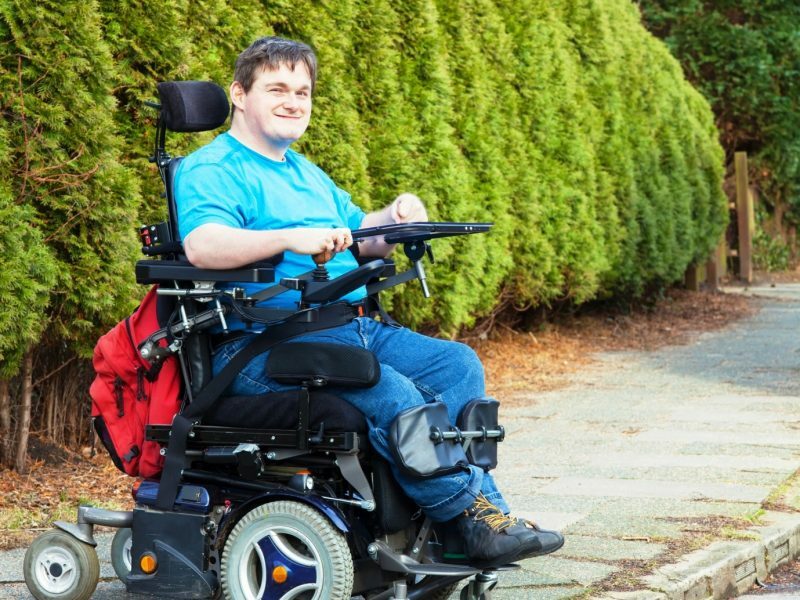 His determination to grow increasingly more independent started to shine though the way that he would interact with both the enablers and his care manager. He was finally becoming who he wanted to be, realising that the world was full of opportunities out there for the taking.